First, what is a dirtbag millionaire? Chris, who writes at Can I Retire Yet? (and formerly wrote at Eat the Financial Elephant), explains it this way: A dirtbag (or ski bum) is someone who loves outdoor activities, pursuing them full time to the point of sometimes living out of their car. On the other hand, there are millionaires working and spending all their hard earned money to fund their lifestyle. Neither was a good fit for Chris and his wife so they melded the best of each concept together to create “Dirtbag Millionaire” - someone who works like a millionaire (temporarily) and enjoys the outdoors like a dirtbag! Here’s their story! Early in my life, I followed the conventional path to success. I worked hard, got good grades in school, and graduated with a Masters in Physical Therapy. This enabled me to make decent money, buy a nice house, and take a couple weeks vacation every year. I was living the “American dream”, but soon realized it wasn’t my dream. I liked working with my patients, but the path to grow in healthcare is through management and administration, which I didn’t enjoy. I got frustrated with my job, feeling I was constantly trading time for money and with no room for career growth. Something was missing. Then we got talked into taking a backpacking trip with friends to the Grand Canyon. We had a blast and quickly got hooked on travel and outdoor adventure. We started hiking, backpacking, rock climbing, skiing, and mountaineering. As we got more involved in these communities, we realized that the happiest people we knew were our “dirtbag” climbing buddies, but they were also generally poor, living on the edge financially. Our other friends were successful in their careers and made a lot of money, but few seemed happy trapped in the lifestyle of spending most of what they earned. Neither lifestyle appealed to us, so we created our own path. We made a conscious decision to become “Dirtbag Millionaires”. We would model our spending after our “dirtbag” friends, spending our time and money only on the things we were most passionate about. Simultaneously, we would continue working our professional jobs for a while, saving as much as possible to build up wealth so we could live like “millionaires”. 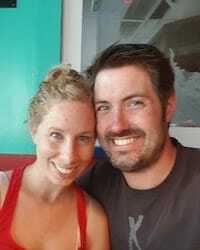 My original idea was to save as much as possible and retire early, but in 2012, after a decade of saving and paying off our home, we decided to wing it and go after the lifestyle we really wanted. We we were going to quit our jobs in PA and move west. 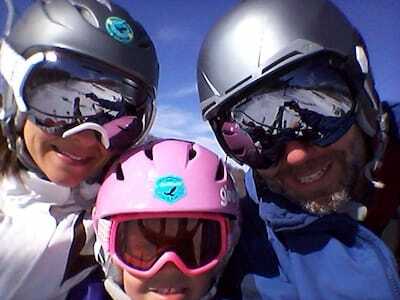 My wife even had a dream job offer in the outdoor industry in Salt Lake City, UT. We would be close to our favorite activities and I could take some time off, do part-time physical therapy work, or try something completely different. The same week my wife got her job offer in Salt Lake City, we found out she was pregnant. We were excited and shocked as we thought she was unable to have children. With having a baby, we felt we needed to keep our stable high paying jobs and stay close to family for support. We decided to not take the leap to SLC. Even though we were choosing to stay in PA, we knew we didn’t want to stay in our current lifestyle. I got more serious about personal finance, investing, and retirement planning. In this process, I realized that we had been making massive investing and tax planning mistakes by following the recommendations of our financial adviser. This caused a lot of regret, anger, and pushed me to the edge of depression. As a new dad, I now wanted freedom for my family more than ever. I took my negative emotions and channeled them into something positive, redefining retirement. Our plan contained a combination of FIRE principals with intentional lifestyle design focused on what we most valued (time with family, time in the outdoors, and having the ability to travel). This included balancing meaningful and rewarding work, planning work around our lives rather than trying to squeeze in life around work. As we got closer to our goal of early retirement, we stressed about switching from a high savings rate to living on a strict budget. To help transitions, I created strategies to meet our needs. While finding out we were having a daughter changed some of our plans, it also lit a new fire in me to achieve our dream. This was a huge blessing that led me to retiring from my physical therapy job in December (just 41 years old). My new found freedom led me to a partnership with Darrow Kirkpatrick, working on the blog Can I Retire Yet? I am also working on writing a book. My wife continues to work 30 hours/week. She has a work from home, location independent job with flexible hours. This provides most of our living expenses and provides us with affordable medical insurance. We are loving our new life. I typically get up early without an alarm and spend the first 90 minutes of my day on personal development (30 minutes of quiet time, 60 minutes of exercise). We eat breakfast as a family every morning at a relaxed pace and then our daughter is off to preschool. During preschool my wife and I do the work we love and carve out some time for each other (ski or climb one day a week, walk together on the other days). The best thing is having time with my daughter every afternoon. When I was working, I usually didn’t see her until after my work day when we all were tired. Now we have far more time with her to do things she loves like getting outside, creating art projects, reading books, and playing games. Our dream of moving to Utah never went away. We bought a house there last summer and are renting it out until we move in July. Once we’re there, we’ll have far better access to the outdoor activities we love, living 20 minutes from two major ski resorts and a couple blocks from trailheads with abundant hiking and climbing. We designed our lives to maintain connections with family, despite moving across the country. We chose our house because it has a mother-in-law suite that will allow us to host family and be used as an Airbnb at other times as a source of income. We also designed our work and finances to provide flexibility, allowing us to visit our families for extended periods each year. With moving to Utah and designing the life we want, I have three main priorities. My Family - reconnect with my wife on a deeper level, help our daughter develop into a confident and well adjusted person. 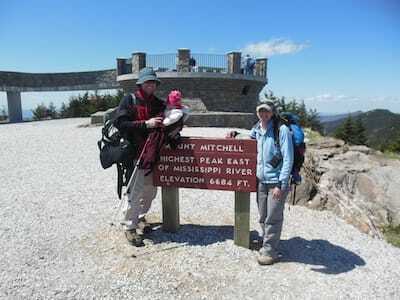 We also have a fun family goal to visit the summit of all 50 states (visited 14 so far)! 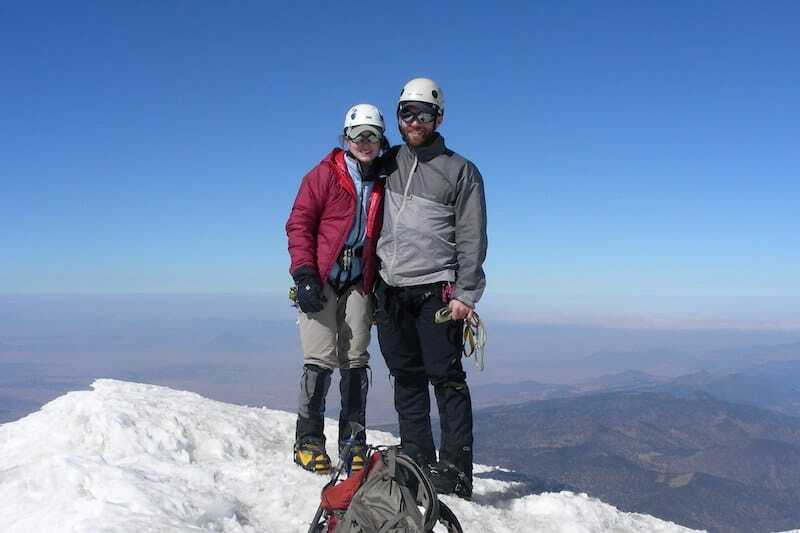 We started mountaineering before my wife became pregnant with our next goal being Denali (Alaska). If our daughter continues to develop her love for the outdoors, accomplishing this as a family someday will be an amazing way for our story to come full circle. Do You Want to be a Dirtbag Millionaire? Dream big, ask questions, and live intentionally. The primary reason most people follow the standard path in life is that they see everyone else doing it and don’t bother to question things. Many people assume that building wealth, achieving financial independence, and retiring early require too much sacrifice. It is far more sacrifice to live your entire life trapped unintentionally than it is to take some time to figure out what you truly desire in life and develop a plan to achieve it. Thank you to Chris for sharing his story! 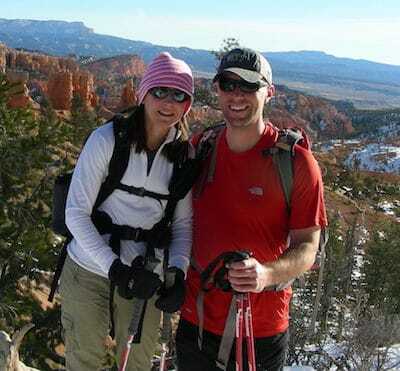 We love that they are still pursuing a life in Utah, have a 50 state goal, and bought a home with a mother-in-law suite! We can’t wait to hear what life brings this Summer when they officially move out west!